Bathroom Remodeling: How Much Does it Cost Today? In remodeling your bathroom you soon realize that the bathroom is one of the most expensive rooms in the house to remodel per square foot. Some homeowners merely want a basic functional bathroom space while others want a bathroom that is far beyond just functional. 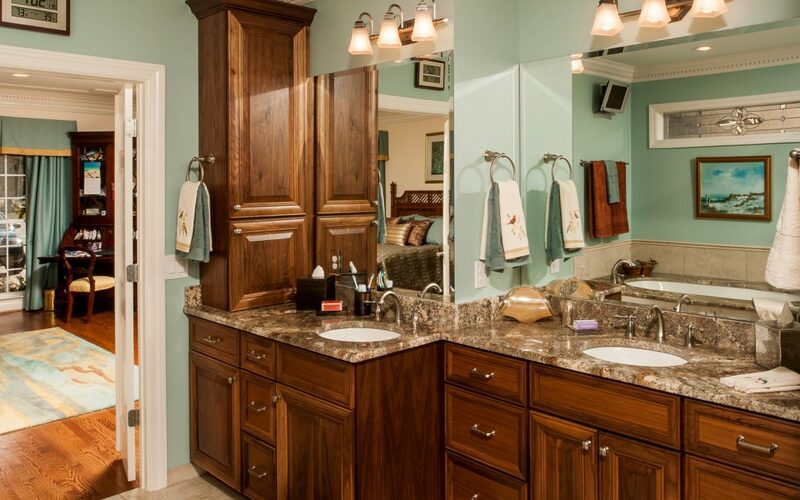 They want their bathroom to provide a place where they can refresh themselves as well as be as space that is as beautiful as the other rooms in their home. How much does it cost to remodel an average size hall bathroom today? It really depends on what needs to be changed. If minor changes are made such as wallpaper or painting, toilet, vanity, or faucets, the costs are merely the cost of labor and materials. (Labor costs vary depending on the amount of time required to do each task as well as the risk in accomplishing the task. For example, when replacing the toilet, the toilet could leak and cause water damage.) Individuals sometimes put off remodeling their bathroom until a crisis has occurred or is eminent (e.g. the floor is about to fall into the basement or crawl space). At this stage, the only solution is to remove everything (tub, toilet, vanity, floor tile, etc.) and rebuild the new bathroom space from the sub-floor up. Generally, the cost of totally rebuilding an average hall bathroom in the middle Tennessee region, using basic materials, is approximately $20,000 to $30,000. This also does not include moving walls or making major plumbing changes. If you change the walls or plumbing or install new floor joists, the costs could increase significantly, even as much as $10,000 more than the basic cost. Many people underestimate the cost of remodeling a small bathroom. There are just as many tasks to be completed in the remodeling of a small bathroom area as there are in the remodeling of a larger bathroom area. Regardless of the size, the following tasks are required for a full bathroom remodel: the demolition and disposal of materials, reconstruction of the sub-floor and overpayment, adjustment of the plumbing and electrical to code requirements, installation of shower or bathtub, installation of tile backer board, tiling and grouting of the walls and floor, installation and finishing of drywall, painting of the walls, ceiling, doors, windows and all moldings as well as the reinstallation of the toilet, vanity, mirror, lights, tissue and towel holders. In addition, as a result of the smaller space in some bathroom areas, only one person can work in the bathroom at a time while a helper waits to assist when called upon. It really takes more time to complete the tasks and subsequently the cost per square foot increases. In summary, many decisions from deciding on a budget to choosing the right materials and contractor need to be made in order to make your dream bathroom become a reality. Regardless of the size of the remodel, the process begins with the bathroom design and the services of a person who knows the market place, can advise you throughout the material selection process, and assist you with the colors and textures so that you achieve your bathroom vision. Bathroom that are works of art don’t just happen; they have to be designed and built to the specifications of the design. So You Need a New Shower in Your Bathroom?